Access to Compendium Challenges, Coin Wagers, Level and Coin Rewards, and more. Activate the Fall Season Compendium to take part in challenges. Before each match choose which challenge you'd like to attempt. Complete it, then win the match, and you'll earn a bounty of Coins. Players can wager their coins on the outcome of their match. Wagering members of the victorious team will each win a percentage of the Coin Pool based on the amount of their maximum wager compared to the rest of their team. You can redeem coins inside the Compendium for items, sets, or a treasure. The treasure contains exclusive new items that are divided into three tiers of rarity. In the Armory, you can use lower tier items to craft a higher tier reward. Fall 2015 Coins may be redeemed for items, sets and treasures until January 15, 2016. These items, sets, treasures, and items earned from treasures, are in-game items that cannot be transferred. They have no monetary value and cannot be cashed out. Earn rewards as you increase your Compendium Level. Every 100 points you add to your Compendium increases its level, allowing you to earn additional Tribute treasures, Coin Charms and Challenge Coin Boosters. 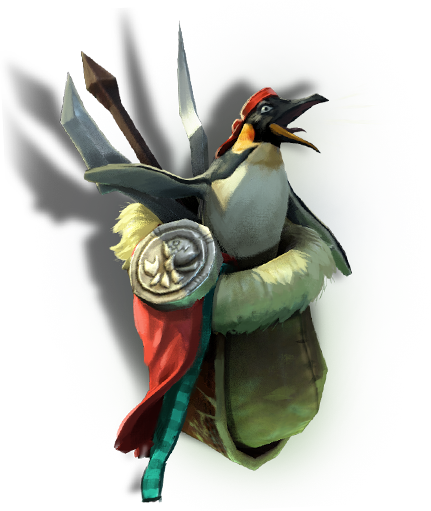 The first of two treasures, the Tribute of the Piercing Beak features new sets created by the community and available exclusively to Compendium owners. Each set within the Tribute contains an item which can be permanently upgraded with special ambient effects. Use a Tribute Upgrade Infuser on select items found in Tribute treasures and you'll permanently unlock special ambient effects for that item. Fresh from the frozen wastes, Whisky the Stout has arrived to help Tusk corner his enemies. 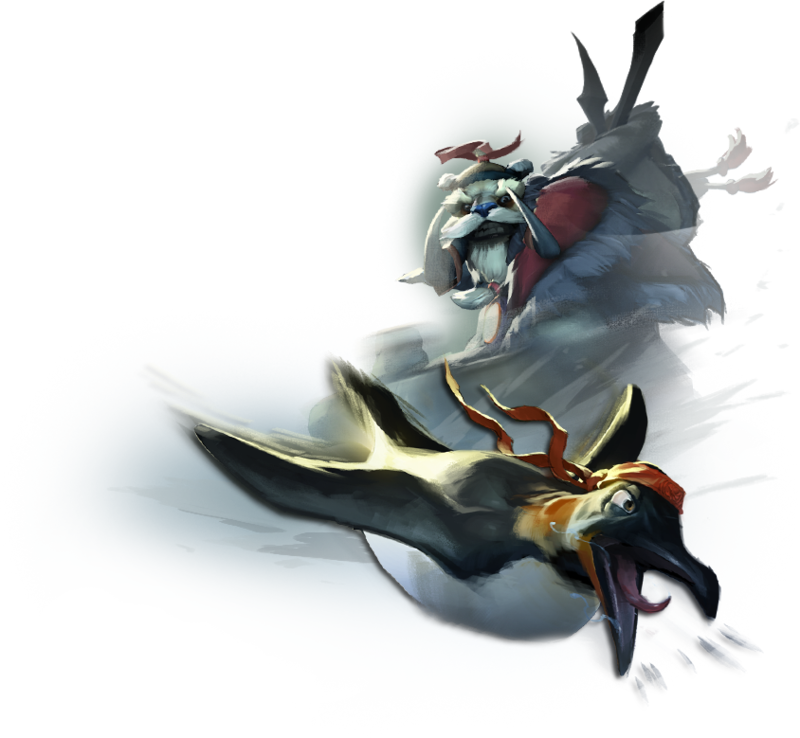 Features an exclusive new effect for Tusk's Ice Shards ability.